Krewe \ krü \ (noun): 1. A group responsible for putting on a Mardi Gras ball or parade. 2. An exceptional collection of unique individuals working together to change the world through delicious Cajun Vegan cuisine. The days of angry chefs, demeaning managers, and unsafe working conditions are over. We are proud to be a part of the movement that appreciates and rewards our restaurant teams with the recognition they deserve. 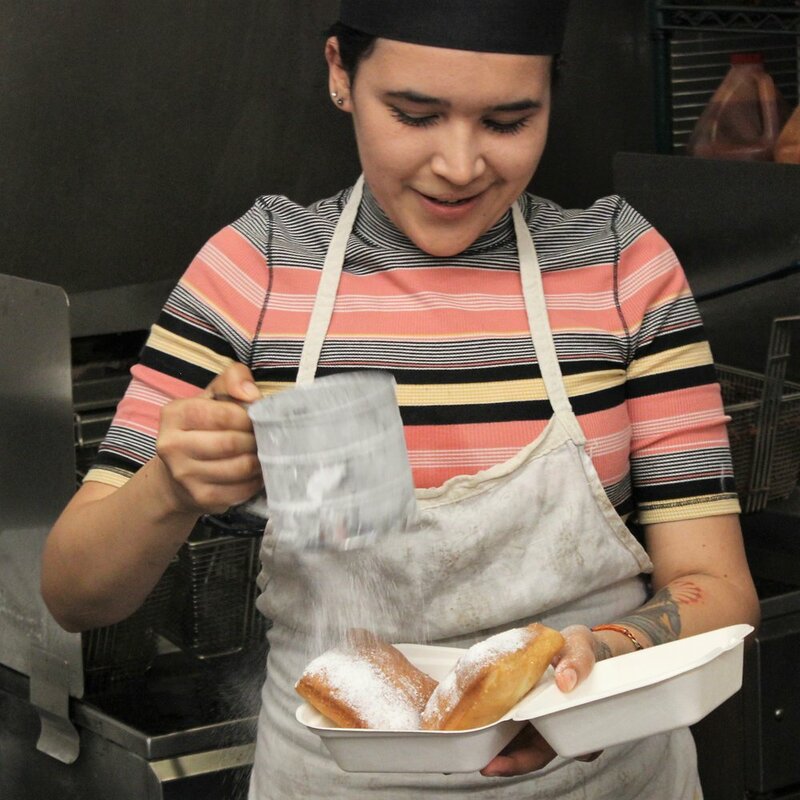 We pay competitive wages (including tips for all hourly workers), provide free meals on shift, deep discounts on products, and create a safe, supportive, and harassment-free workplace. We’re not for everyone. Our Krewe is honest, caring, sharp, hard-working, fun-loving, optimistic, respectful, proud of our work, and always willing to learn and share with each other. Sound like you? You know what to do!